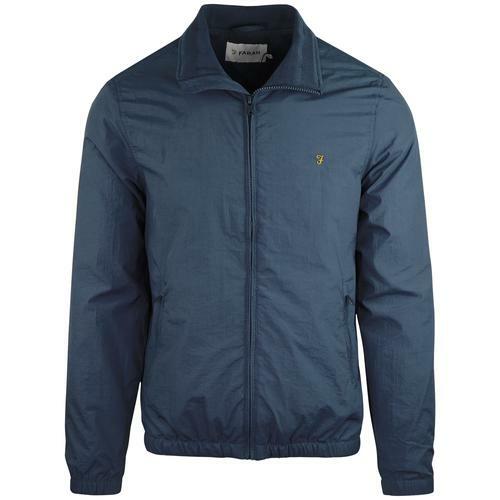 Sergio Tacchini 'Orion' men's retro 1980s archive lightweight bomber jacket in classic navy. Contrast retro white piping sweeps across the chest and is flanked at either side by two parallel sporting stripes on the sleeves. A leisurewear classic, this sublime Sergio Tacchini outerwear piece is inspired by a genuine archive garment from the 1980s. 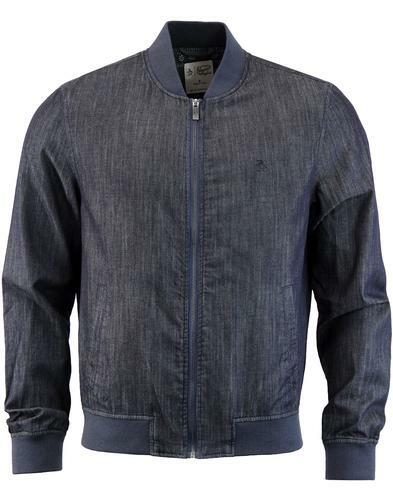 The slim line bomber jacket silhouette is lightweight and finished with soft jersey sweat lining. Tonal navy ribbing to the baseball collar, cuffs and hem. The iconic Sergio Tacchini signature detail sits on the left side of the chest in white and the jacket features two practical side pockets and Tacchini branded zipper. The Sergio Tacchini 'Orion' jacket blends an authentic retro and indie sports vibe with a casual mod bomber jacket silhouette. 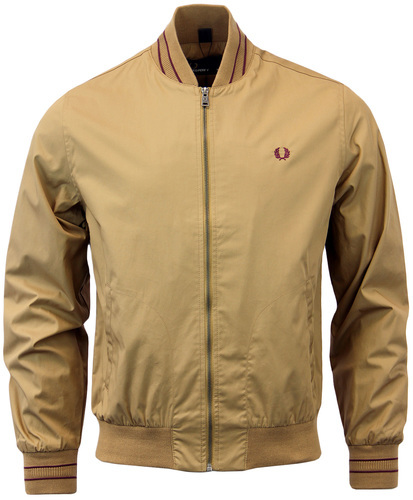 A jacket that typifies 1980s casuals and terrace styling. Timeless retro sportswear that looks great layered over polo and tees and teamed with denim jeans. 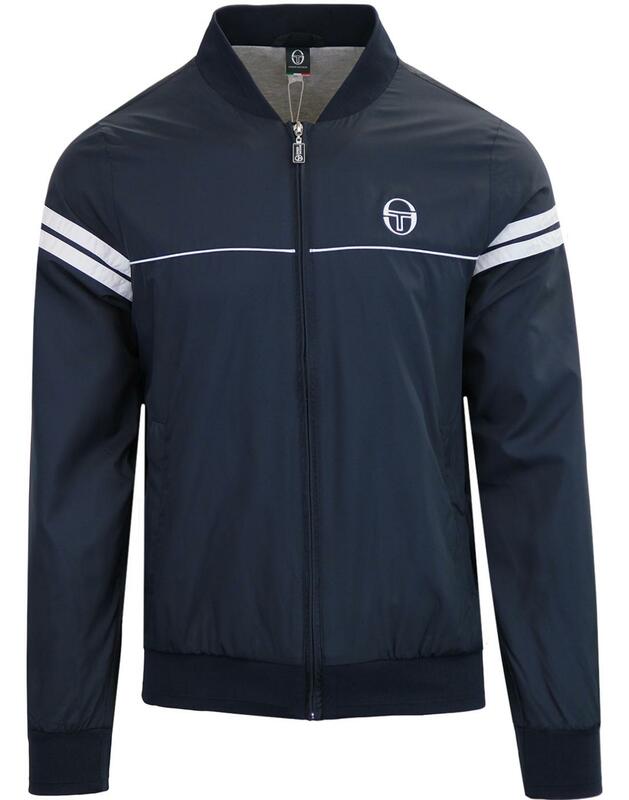 - Sergio Tacchini 'Orion' men's retro 80s archive jacket in navy. 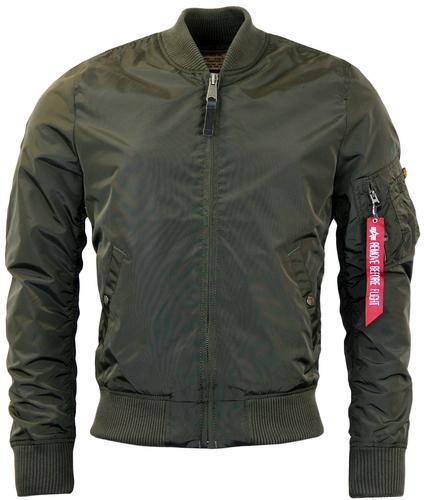 - Lightweight bomber jacket silhouette. - Zip through fastening with Sergio Tacchini branded zipper. - Sergio Tacchini chest logo. - Tonal navy ribbed collar, cuffs and hem. - Contrast retro piping in white across the chest. - Twin sleeve stripe detail. _ Jersey sweat fabric lining. - SKU: 37591 002 Orion Jacket. Composition: Shell: 100% polyester. Lining: 65% polyester, 35% cotton.